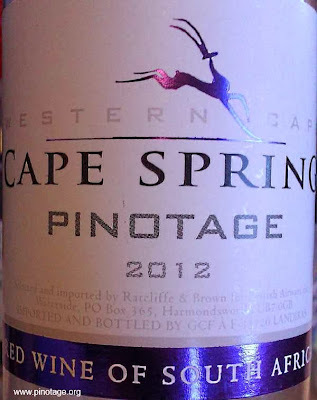 My Wine of the Month for November is Cape Spring Pinotage 2012. This was served, to my surprise, on a British Airways flight from London to Chicago. 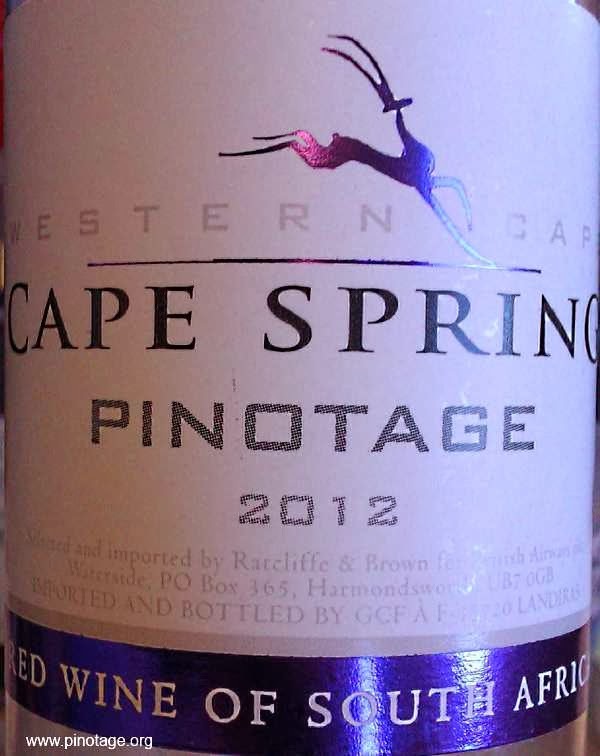 The red wine choice was between Pinotage or a southern French red and the cabin attendant told me Pinotage was most requested, a fact borne out by them having exhausted supplies on the trolley’s next trip up the aisle. 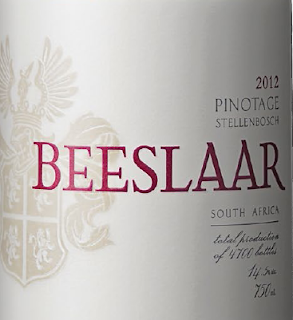 The wine was light both in colour and body and had pleasing red berry flavours which were most refreshing at 30,000 feet. I don’t know anything about this wine other than Cape Spring appears to be a brand of French drinks’ company Grands Chais de France (GCF) and this wine was bulk shipped and bottled by GCF at their Caves De Landiras Winery, France, in airline sized 187.5ml plastic screw-capped bottles. It was then imported to the UK for British Airways by specialist suppliers to the travel industry Ratcliffe & Brown. 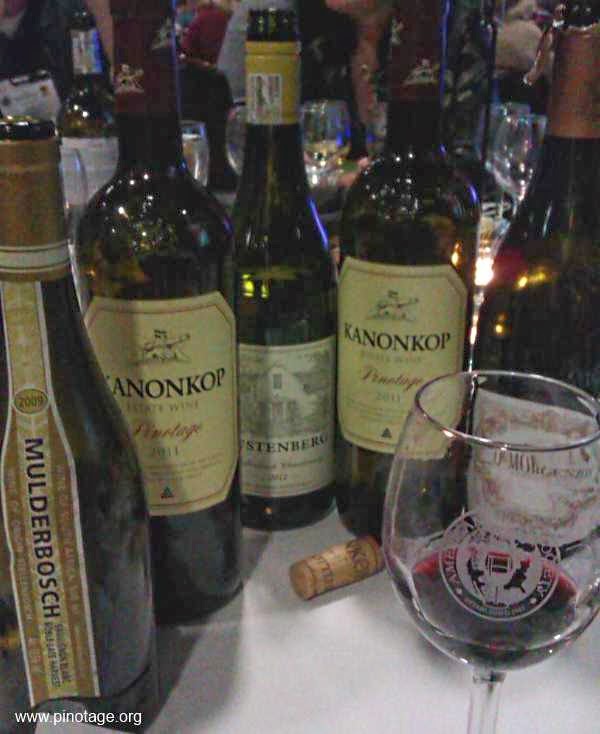 During my weeks in the USA I encountered only one Pinotage – the excellent Kanonkop Estate 2011 during a dinner sponsored by Wines of South Africa at the American Wine Society annual conference in Sandusky, Ohio. WoSA made an excellent choice to show case South African wines, as can be seen from the selection on the table in front of me. 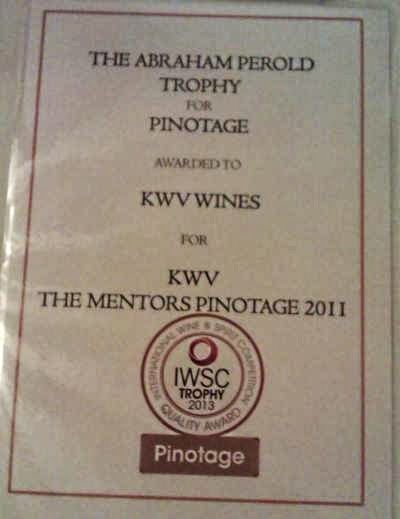 The Abraham Perold Trophy for Pinotage was won by KWV The Mentors Pinotage 2011. The Trophy, which is sponsored by The Pinotage Association, was presented this evening at the International Wine and Spirits Competition's awards ceremony in London's 800 year-old Guildhall to KWV Wines by Peter F May representing The Pinotage Association. May, (centre in photograph) an Honorary Member of The Pinotage Association, said "I am proud to present the Trophy on behalf of The Pinotage Association this evening. 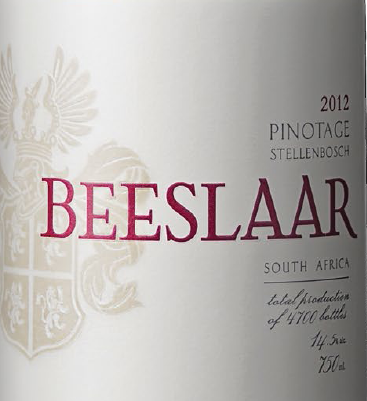 The IWSC Abraham Perold Trophy honours the creator of Pinotage, it encourages winemakers to achieve ever better wines from the variety and it recognises those who do. 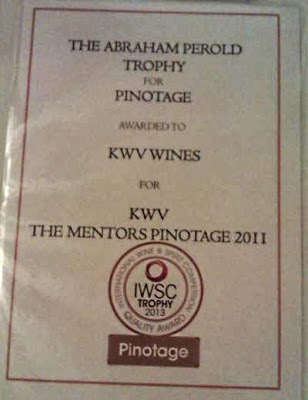 KWV The Mentors 2011 is one superb example of the fine wine Pinotage is capable of."